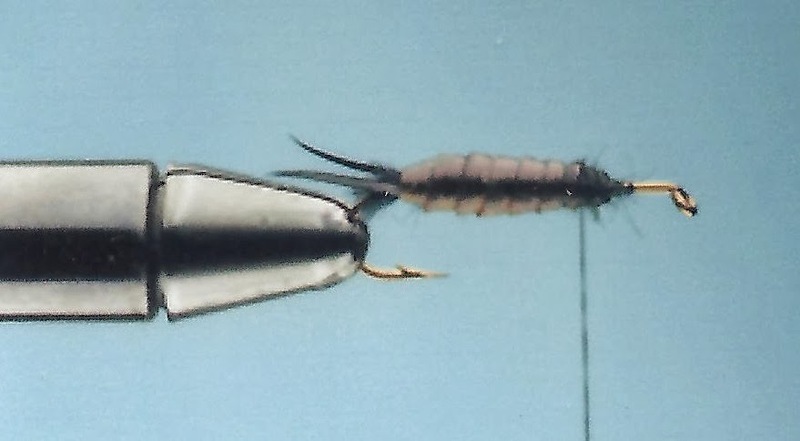 There are many different versions of stoneflies and most are effective. Some are tied to look like the real bug while others are tied to suggest the appearance of one. Norm’s Stonefly falls in the middle. It looks close to the natural, but it’s not an exact replica. I prefer this latter style because they are easier to tie and they work just as well if not better than perfect models. It has a soft latex body, a black chenille or wool thorax, a black goose feather for the wing case and goose biots for the split tail. 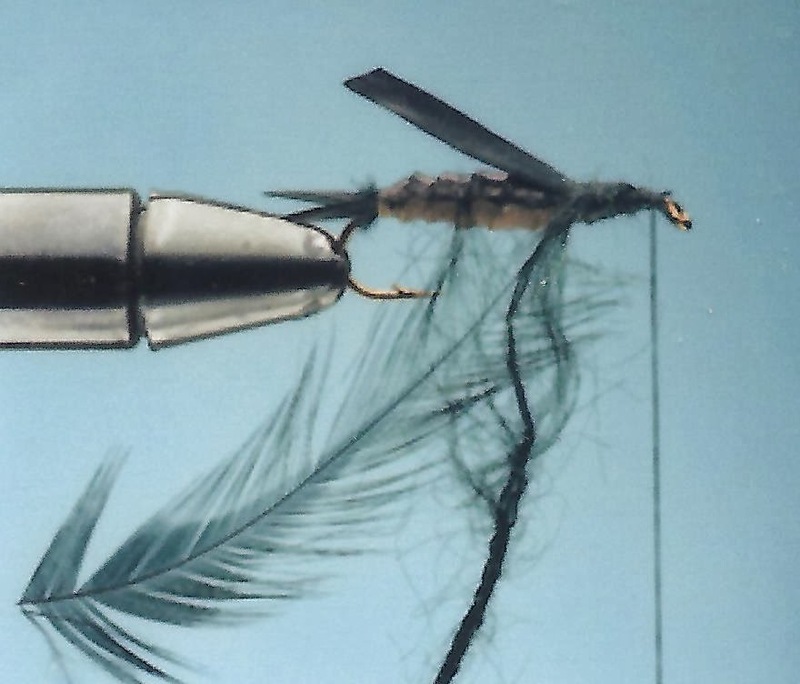 Front goose biots are optional as well as lead wire spiraled around the hook shank to help the fly sink better. Tie in 2 goose biots split apart. Attach black wool and latex. Spiral on lead wire if desired. Wrap the wool 2/3 inch forward and tie off. Follow with 7-10 wraps of latex and tie off. Tie in wing case and black wool. Then, wrap the thread forward to 1/8 inch of the eye. Wrap wool forward to form the thorax and pick it out. 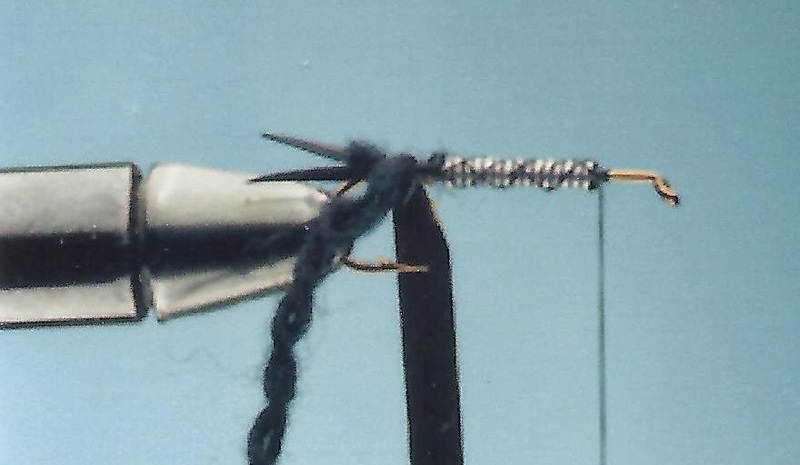 Then spiral in 3-4 turns of hackle and bring the wing case over the top. Tie the head off and cement.